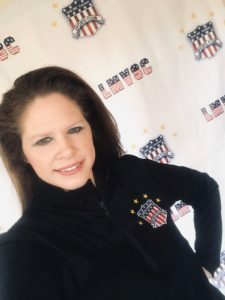 Alexandria, VA— The Lee Mount Vernon Sports Club (LMVSC) is proud to announce Jennifer Deems as the latest team member to join the organization. Jennifer began on February 1, 2019 and will be engaging in public relations, marketing, community involvement, social media, and branding for LMVSC. New and exciting special events will follow. Jennifer has over twenty years of experience in the field of PR/Marketing and Events. She has worked on marketing campaigns with Clear Channel Radio of Mobile, Goodwill Industries of Hawaii, and the National Kidney Foundation of the National Capital Area. Her event experience includes the DC101 Chili Cookoff, numerous parades, bowl games, sporting tournaments, festivals, and concerts. Adding Mrs. Deems to the staff adds strength, energy, and excitement to an already outstanding program.